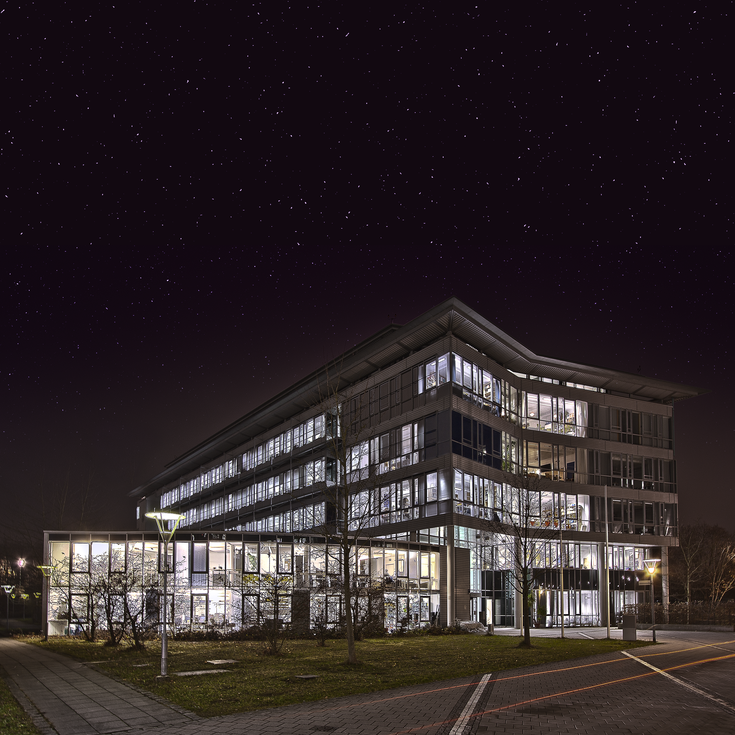 The Gene Center was established in 1984 by Ernst Ludwig Winnacker as a joint enterprise between the LMU Munich and the Max Planck Institutes in Martinsried with the aim of establishing gene technology in Germany for medical and industrial applications. The Gene Center was initially accommodated in the MPI of Biochemistry in Martinsried until it moved to its current building in Großhadern in 1994, thereby setting the stage for establishment of the LMU’s new HighTechCampus, dedicated to life sciences education and research. In 2016, the new Center for Molecular Biosystems Munich building BioSysM was constructed as part of the Faculty of Chemistry and Pharmacy and houses Gene Center groups studying early development and innate immunity with systems biology approaches. The Gene Center was directed by Ernst-Ludwig Winnacker from 1984-1998. From 1999 to 2003, the Gene Center was directed by Rudolf Grosschedl, and from 2004 to 2013 by Patrick Cramer. In 2014/2015, the Center was headed by Eckhard Wolf as Managing Director and Ulrike Gaul as Director of the Department of Biochemistry. 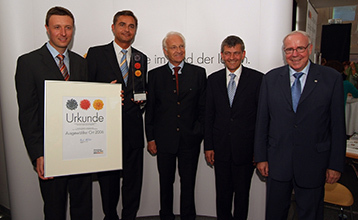 Karl-Peter Hopfner has been directing the Gene Center since October 2015.
at the ceremony of the award "Ausgewählter Ort 2016"
From its beginning, the Gene Center has played a leading role in shaping science and science policy in Germany. It was one of the first institutes to introduce independent junior groups and, later, tenure track professorships. Fostering early academic independence is still a core mission of the institute. Futhermore, the Gene Center helped make Munich/Martinsried the thriving hub for the emerging biotech industry it is today.